I worked for my sister, an electrician, for many years, and a lot of her business was lighting and chandelier installs. What amazed both of us was the amount of money and expertise that would go into redecorating a space with not much thought for the light fixtures. Many times the builder cheap light still remained on the ceiling! Not only are these rustic fixtures functional and necessary to see in the evening hours, but they don't have to fade into the background when not in use. I have come across many really unique industrial chandeliers online that may help you with your rustic or industrial styling. Check them out! Let the fixtures be a part of the room! I really thought this one was super unique. 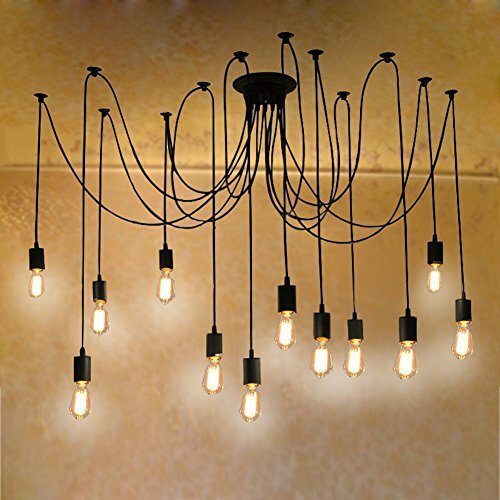 It would definitely make a statement and would look awesome over a pool table, kitchen island, or anywhere a chandelier would work best. Light fixtures need to be functional, but they don't have to fade away, let them be a part of your personal decorating. This one is super rustic and authentic looking. Copper with black finish to age it, The edison light bulbs really add to the authentic look. This would be awesome over a rustic dining table. You will get a warm glow and it will look great even when not in use. Light fixtures are just as important as furniture and your flooring, they are to be seen. 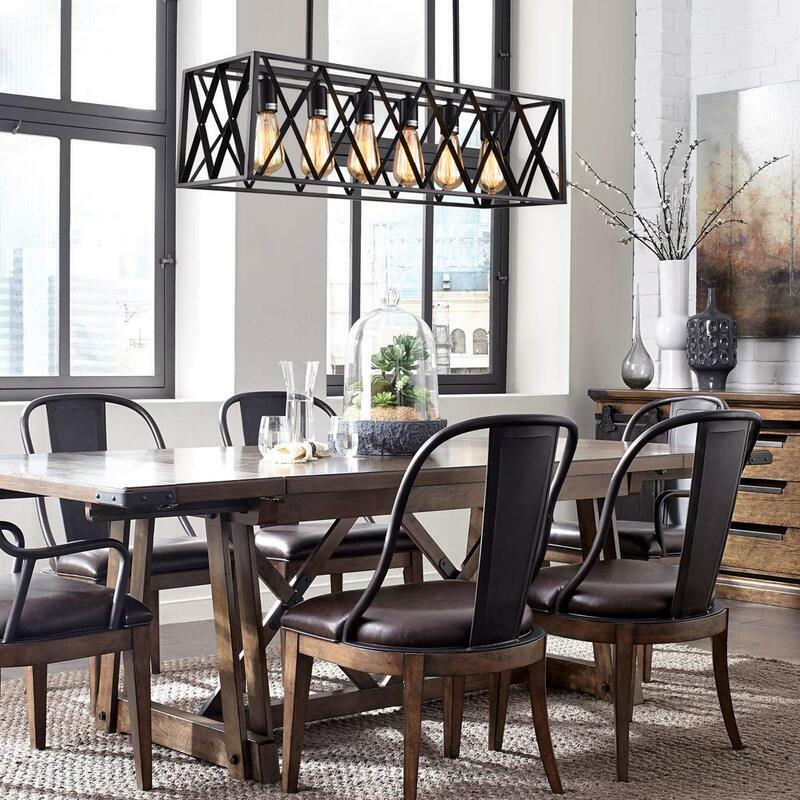 If you have the height, this fixture would really make a statement. It would really work well in a foyer, but as you can see in the picture it could work in any room as long as you have the height so as to not be attacked by it!. This looks good lit up as well as a piece of your decor during the day. Conversation piece for sure and totally different, which is what I love about the industrious look. Another option for making a statement with your lighting. Unique for sure. Bicycle themed with the Edison bulbs, this would hang nicely over your dining table, a foyer or even a pool table. It gives off great lighting and still looks great when not in use. Very rustic looking. This chandelier is complete with 5 hanging pendants from one fixture, and they all have that industrial looking cage around them. If you have a exposed brick wall or rustic wood paneling these would look awesome in a corner over a chair or table, would also work in a foyer. They are a lighter look, not as heavy with the metal. Pair them with an edison bulb and they look authentic. Industrial pipe chandelier that has 6 lights that will totally illuminate your table or kitchen island. 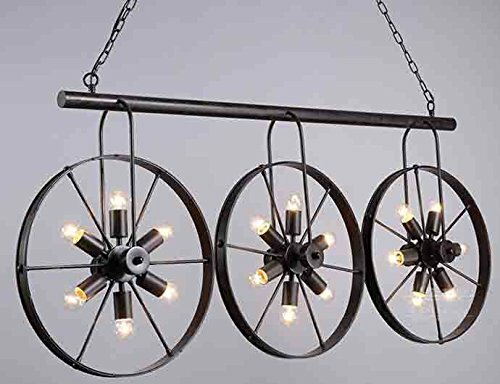 Using old looking pipes, wrought iron, or metal create the rustic look of industrial and this is a really cool way to decorate in my opinion because the lighting can make a serious statement in your home. I love this fixture, it reminds me of a spider. It is light and airy if you don't want anything to heavy in your space. It does take a special E27 bulb to make this look realistic which is sold below. 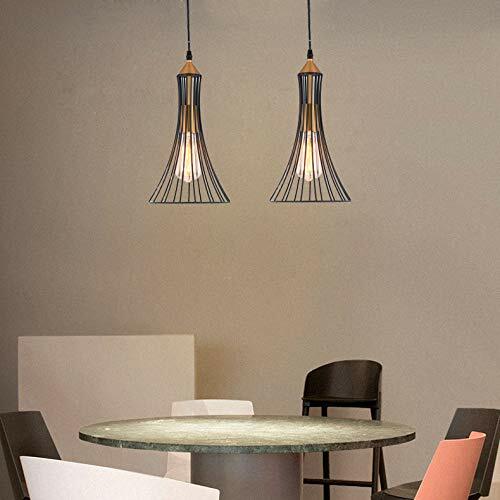 If you have a smaller space and don't want a large fixture but you do want to add to your decor with a statement piece, this would look great in a foyer, over a table, pool table or kitchen island. Get the right bulbs for the right look. Nothing worse than spending hundreds on a really cool fixture only to make it look awkward with the wrong bulbs. These bulbs are designed for these industrial fixtures. Check the sales page to see if any come with the fixture if not order them at the same time. You don't want to get it installed only to not be able to use it. I found online with Amazon the best place for these. Order them at the same time and get some spares. Even if you can install a fixture no problem, some of these can be awkward to hold while attaching, so have a friend or some help or better yet, get a professional to install them. These fixtures are up to safety standards for North America and therefore safe, even though they look old with authentic looking fabric wires, it is still better to purchase these new than to dig one out of a estate sale or antique store unless you plan on rewiring it. Found the Ultimate Industrial Chandelier at an Antique Store? Don't rely on the wiring that is already in the fixture, who knows how old it is. Get an electrician to rewire it to keep it safe if you prefer to use one you have found. It can be done but it may cost you more than simply purchasing an authentic looking one that is ready to go. Stay safe!